Many of Ryearch’s construction and civil engineering projects (and our staff) have been shortlisted for and won industry awards, recognising the significant contribution we have made to shaping Plymouth’s built environment. This award from Plymouth’s favourite daily newspaper seeks to recognise the best Plymouth businesses each year. 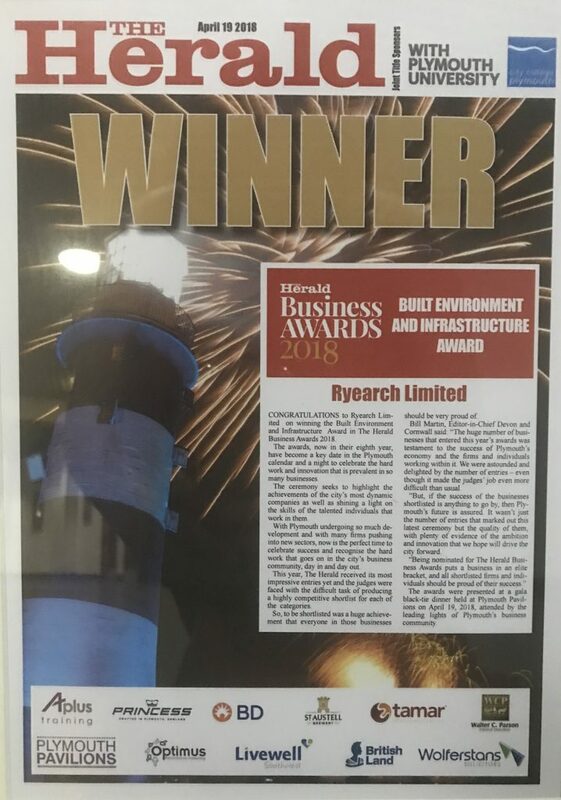 Ryearch won the Built Environment & Infrastructure category, in recognition for the major contribution we have made to the city’s development since 1990. More information can be found here. Ryearch was an awards finalist for the Best social or affordable new housing development category, for our Parsonage Road project. More information can be found here. Best Educational Building was awarded to Ryearch’s project at Stoke Damerel Primary School. Highly Commended: Best Social or Affordable New Housing Development was awarded to the Honeyford Close project team, comprising Ryearch Ltd, Rogers & Jones Architects & Westcountry Housing. Highly Commended: Best Local Builder or Traditional Craftsmanship was awarded to Ryearch’s Site Manager, Justin Hummerstone. Best multi-tasking Site Agent was awarded to our Site Manager Justin Hummerstone to recognise his work on our Ernesettle Community School and Plympton Library projects. Best filled gabions was jointly awarded to Ryearch and Martin Haynes Architects for Mount Wise Primary School. Project that should have won the 2011 LABC award but didn’t – jointly awarded to Ryearch and AWW (architects) for the delivery of the highly successful Plympton Library project. Best individual dwelling was awarded to Ryearch’s project at Lusty Glaze in Newquay, The Sea House. 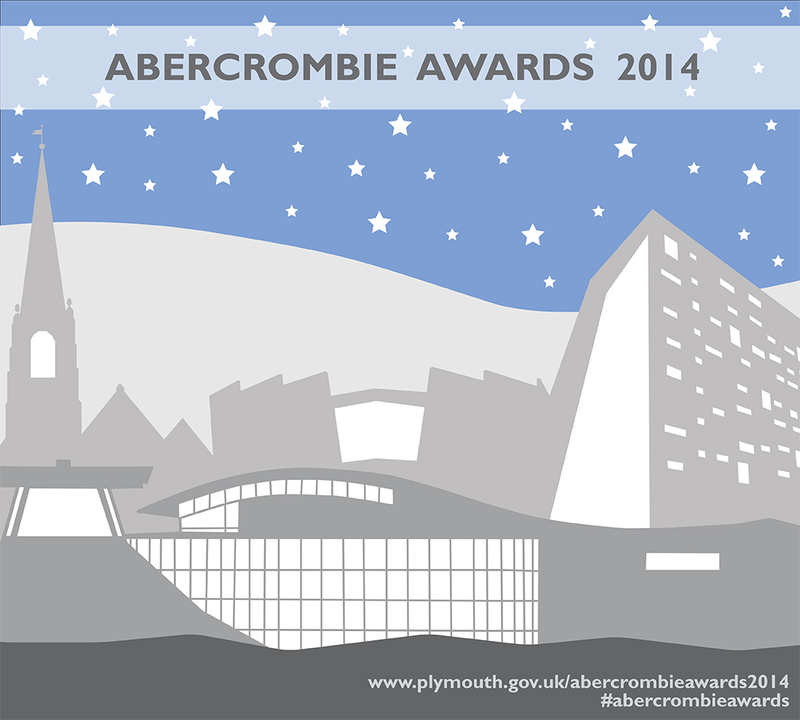 The Abercrombie Awards are designed to celebrate Plymouth’s best developments, from small scale conversions through to multi-million pound schemes. Named after the architect who planned the reconstruction of Plymouth after the Blitz, the awards recognise those buildings and spaces which help make our city such a fantastic place to live, work and visit. The awards take place every three years. Ryearch’s Plymouth Market project secured Highly Commended for two categories, namely Best Conversion or Conservation Project and Best Commercial Project. Ryearch’s Devonport Column refurbishment won the Best Conversion or Conservation category and our Drake’s Place Gardens & Reservoir project won the Best Public Space category. Drake’s Place also won the coveted People of Plymouth award, having received the most votes from members of the public. Three Ryearch schemes were shortlisted for Best Public Space– West End Public Space, Cumberland Gardens and Granby Green – with the latter winning this category. 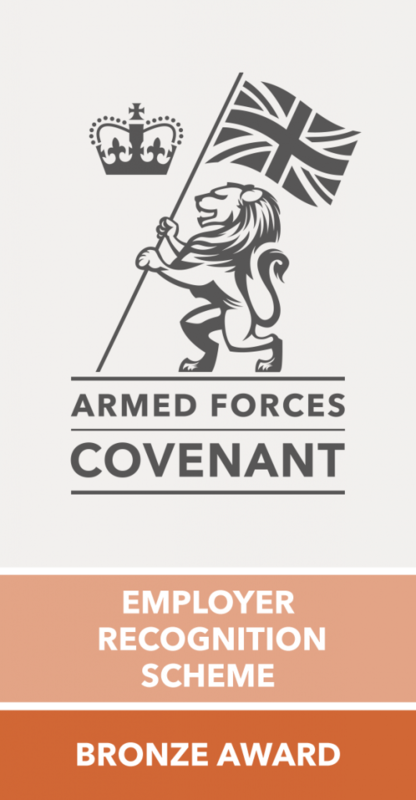 The Employer Recognition Scheme (ERS) acknowledges employers who have provided exceptional support to the armed forces community, and allows the Ministry of Defence to publicly honour those organisations for their support. Ryearch achieved the bronze award ‘in national recognition of their commitment to the Armed Forces‘. The National Site Awards recognise those sites registered with the CCS that have raised the bar for considerate construction. 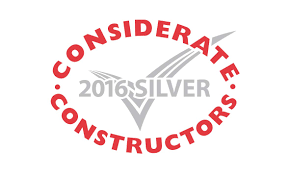 Ryearch constituted the main site team at the Marjon Link Roadscheme for Amey LG, and this silver award recognised ‘the highest levels of consideration towards the public, its workforce and the environment through adhering to the Scheme’s five-point Code of Considerate Practice‘.